Los Angeles is a city of dualities--sunshine and noir, coastline beaches and urban grit, natural beauty and suburban sprawl, the obvious and the hidden. 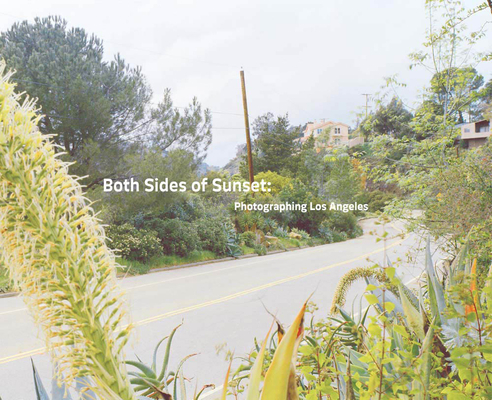 Both Sides of Sunset: Photographing Los Angeles reveals these dualities and more, in images captured by master photographers such as Bruce Davidson, Lee Friedlander, Daido Moriyama, Julius Shulman and Garry Winogrand, as well as many younger artists, among them Matthew Brandt, Katy Grannan, Alex Israel, Lise Sarfati and Ed Templeton, just to name a few. Taken together, these individual views by more than 130 artists form a collective vision of a place where myth and reality are often indistinguishable. Spinning off the highly acclaimed Looking at Los Angeles (Metropolis Books, 2005), Both Sides of Sunset presents an updated and equally unromantic vision of this beloved and scorned metropolis. In the years since the first book was published, the artistic landscape of Los Angeles has flourished and evolved. The extraordinary Getty Museum project Pacific Standard Time: Art in L.A. 1945-1980 focused global attention on the city's artistic heritage, and this interest has only continued to grow. Both Sides of Sunset showcases many of the artists featured in the original book--such as Lewis Baltz, Catherine Opie, Stephen Shore and James Welling--but also incorporates new images that portray a city that is at once unhinged and driven by irrepressible exuberance. Proceeds from the sale of the book will benefit Inner-City Arts--an oasis of learning, achievement and creativity in the heart of Los Angeles' Skid Row that brings arts education to elementary, middle and high school students.